Find out how Thomasnet.com helped Jonco exponentially grow their sales without growing their sales force. Jonco Industries delivers custom manufacturing services to clients nationwide, but they rely on Thomasnet.com to deliver leads to their business. 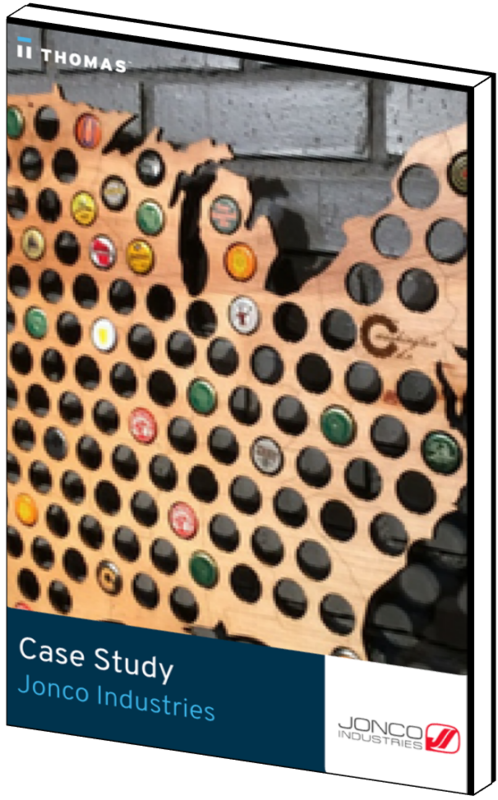 Recently, one of those leads came from a pair of mechanical engineers in Madison, Wisconsin who had a passion for craft beer and a vision for a new business – Beer Cap Maps. We brewed up a great match. Download the case study to learn more about how Thomasnet.com helped Jonco attract new customers and grow their business.